On December 29, 2015, at 2:34 p.m., the Hebgen Basin Fire Department received a walk-up report of a snowmobile crash with injuries on the Two Top trail. A 911 call from an individual still on scene of the crash provided GPS coordinates for the Rescue Team. The crash location was approximately ½ mile west of West Yellowstone. The injured snowmobiler, a 31 year old female from Brooten Minnesota, suffered an upper leg injury when the snowmobile she was riding left the trail and struck a tree. 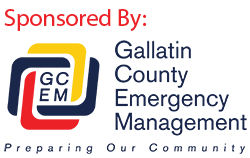 Personnel from the Sheriff’s Office, the West Yellowstone Division of Gallatin County Search and Rescue, and Hebgen Basin Fire Department responded to assist with the rescue. Rescuers responded on snowmobiles to the GPS coordinates retrieved from the 911 call. They located the snowmobiler who was complaining of sever upper leg/hip pain and quickly packaged her onto a rescue sled. Rescuers then transported her to West Yellowstone where a Hebgen Basin Fire Department Ambulance was waiting to transport her to Bozeman Deaconess Hospital. Sheriff Gootkin would like to remind snowmobilers that it’s important to know your equipment and ride within your ability. Beginners should stick to groomed trails only and drive during the day. Travel at safe speeds, especially on unfamiliar terrain where unseen hazards may be present.